Sandhan Valley, also known as Valley of suspense or Valley of Shadow, is one of the greatest canyons in the splendid setting of Sahyadri Western Ghats. The water carved valley is 200 ft deep and about 1.5 km long. Sandhan valley is located on the western side of the beautiful Bhandardara region, near Samrad village. 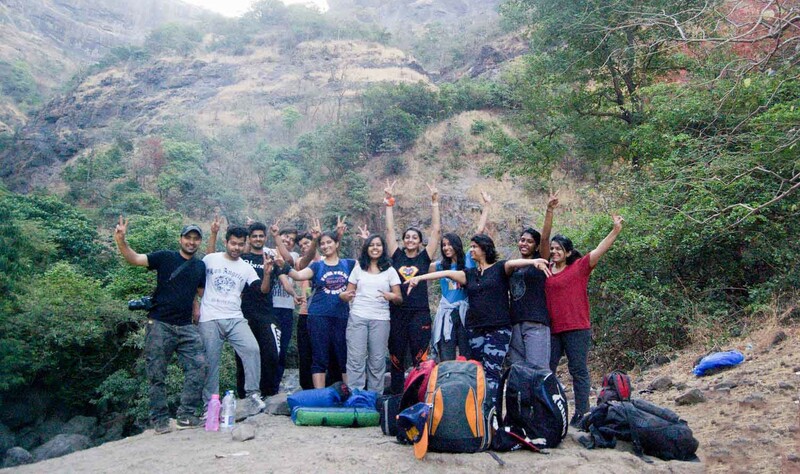 The valley is surrounded with mighty Alang, Madan and Kulang (Known as AMK- rated as the toughest trek in Sahyadri) Ratangad, Ajoba & Kalsubai 5400 ft. highest peak in Maharashtra mountain ranges. 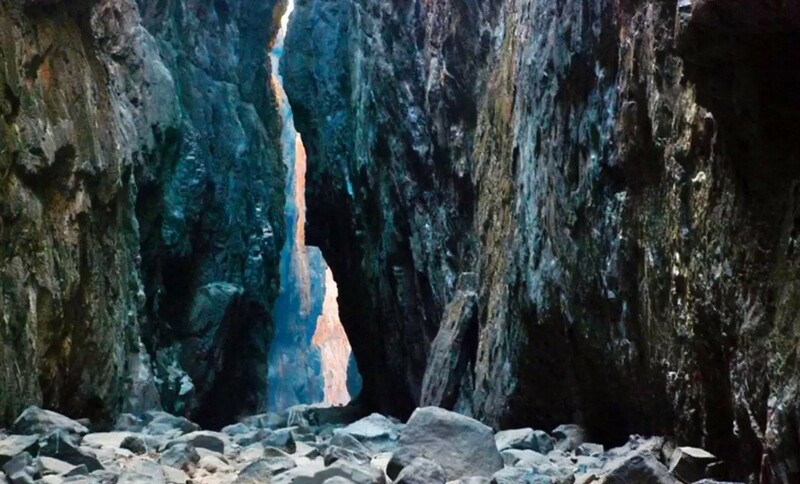 The brilliant and deep narrow rock floored ravine is located between the two high walls of mountain range. At some places its width is less than 3 ft and at some places sun rays unable to reach the ground. Which gives it the name: valley of shadows. Board Kasara slow local from Mumbai CST on Friday. 01:30 Assemble at Kasara Rail Station. 05:30 Reach base village by local transport. 07:00 Start full descend trek towards Sandhan Valley. 20:30 Dinner & Night Stay under open Sky in Tent. 07:30 Start descending toward Dehne village. 10:00 Reach Dehne village and start travel from Dehne village to Asangaon. Transportation from Kasara – Sandhan Valley – Dehne – Asangaon by local Transport. Day One Saturday - 1 veg breakfast, 1 veg packed lunch, evening tea and 1 veg dinner. Day Two Sunday - 1 veg breakfast. We reserves all the right to change/deviate/cancel the event without prior notice. Sleeveless, low neck, figure hugging shirts/skirts/tops, short pants, hot pants not allowed.